With the new year upon us, the motivation to kick start a healthy lifestyle is at an all-time high. With gut health being all the rage these days, it’s time to look at the best foods you can bring into your diet to nourish those good gut bugs, and leave you feeling incredible. Gut health has been shown to be connected to weight management, disease prevention, good digestion, and even keeping you happy. You’ve heard the PRO-biotic story over and over again, but the missing nutrient that seems to have been forgotten are PRE-biotics. Prebiotic fibers and a special type of prebiotic called resistant starch are actually the fuel for the probiotics. So if you want to really kick start your gut health for 2018, check out these 7 foods recommended by Kara Landau, a registered dietitian, that will get your gut to its best. Green banana flour is a naturally gluten free flour that is packed with 38% prebiotic resistant starch! Acting as a selective source of fuel for the good probiotics in your gut, green banana flour boosts your resistant starch intake, which supports enhanced mineral absorption, improves blood sugar level regulation, increases feelings of fullness and more! The recommended intake of resistant starch is at around 20g per day, while estimated intakes currently are closer to 3-8g per day, boosting your intake with a spoonful of green banana resistant starch is a sure fire way to hit your daily target! Simply add a spoonful into your morning green smoothie or mixed in your oats, baked into some healthy muffins, or whipped into a delicious gluten free protein pancake! Overnight oats are becoming one of the most popular breakfasts to date, and it’s easy to see why with their versatile and natural nature. Oats are one of the most convenient ways to increase a range of vitamins and minerals, antioxidants, and most importantly, prebiotic resistant starch, to your diet. Just 100 grams of uncooked oats can provide up to 14.8g of resistant starch! That’s huge compared to many breakfast cereals or cooked oats which either don’t offer any resistant starch, or definitely not anywhere near as much! Why not try these delicious vanilla and berry vegan overnight oats, which can be topped with a range of nutritionally dense toppings such as pistachios, seeds, and fruit, to make it the perfect breakfast on-the-go! Pistachios are a delicious little nut that, incredibly, are able to provide us with more satisfying protein and dietary fiber versus calories than any of the other tree nuts! In addition, a recent study found that people who ate ~85g of pistachios had improved gut bacteria, and the effect of pistachio consumption on gut bacteria was much stronger than that of the pistachio’s nutty counterpart, the almond. Proving more and more reasons why pistachios are becoming the nutritional powerhouse of 2018! Simply whip up this invigorating pistachio green smoothie for breakfast, crush them over your overnight oats for a double hit of prebiotic fibers and resistant starches, or pack a handful of Setton Farms pistachios in your lunch for the perfect 3pm pick-up! For so many years potatoes have unfairly been frowned upon as the vegetable that provides too many carbohydrates! Irrespective of whether one is watching their carbohydrate intake or not, the missing, and vital piece of information in the potato story, is that when you cook, and then cool your potatoes, the prebiotic resistant starch component can actually triple! Boosting the resistant starch content in your food supports improved blood sugar level regulation, reduces hunger, and acts as a source of prebiotics, to keep your gut happy and healthy. Simply cook up a batch of potatoes, and create this barbeque classic the day after. Your gut will be singing with resistant-starch rich joy! Move over wheat, oats and rye, BARLEYmax is the new kid on the block! BARLEYmax is part of the whole grain family, in fact, it’s a whole grain itself! But here’s the catch, BARLEYmax has the highest amount of resistant starch compared to our grainy friends! Adding BARLEYmax into your foods is as easy as 1,2,3 and is a great to significantly increase the amount of prebiotic soluble fiber and resistant starch in your diet. Reboot your gut bacteria by including Freedom Foods ‘BarleyPlus’ range in your daily breakfast routine. 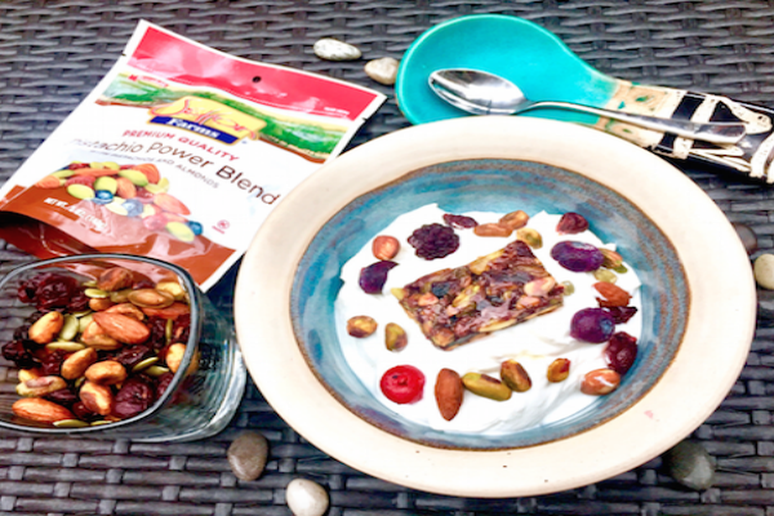 With one 50g serving of BarleyPlus muesli adding 17g of totally dietary fiber, a valuable source of prebiotic soluble fiber and resistant starch, as well as 2 serves of wholegrains to your daily intake. It’s never been this easy! When you think of gut health do you think of chicory root, dandelion greens, or Jerusalem artichoke? If you answered no, don’t worry, you are definitely not alone! What do these three vegetables have in common? Chicory root, dandelion greens, and Jerusalem artichokes are actually all some of the world’s richest sources of prebiotics! Eating a diet jam packed in prebiotics helps feed the friendly bacteria in our guts, promotes feelings of fullness, and enhances the availability and uptake of vitamins and minerals! There are plenty of ways you can incorporate Jerusalem artichokes, chicory root, and dandelion greens into your lifestyle to get that prebiotic hit, and have your gut singing with joy! They are long, white, translucent and often referred to as “miracle noodles” - these low carbohydrate, 97% water, Asian descending noodles are actually made from a gut loving prebiotic soluble fiber rich plant called the Konjac root! Konjac noodles are considered to be a great source of fiber, and contain a special type of soluble fiber which causes them to move slowly through the digestive system. This may help explain why when you eat konjac noodles you are able to feel really full! For this same reason, they can actually also be a great addition to your lifestyle if you are trying to lose some stubborn weight! On top of all of this, consuming konjac can also help regulate your blood sugar and insulin levels, and may lower your cholesterol levels too! ….Is there anything the konjac noodle can’t do? To incorporate more of these miracle noodles into your diet, why not try these delicious sesame noodles that sub in konjac noodles and sub out pasta or rice. With such health benefits, we think konjac noodles are the way to go!